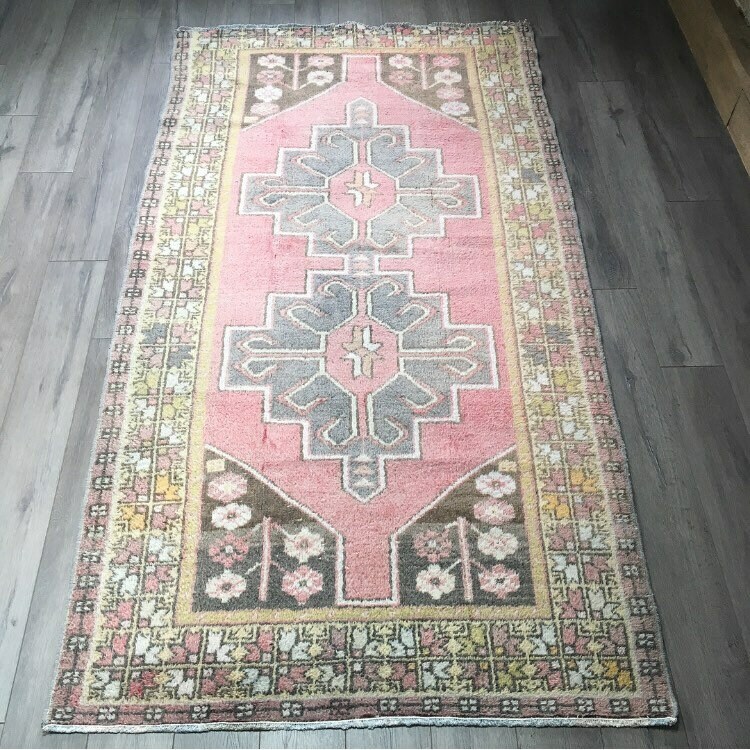 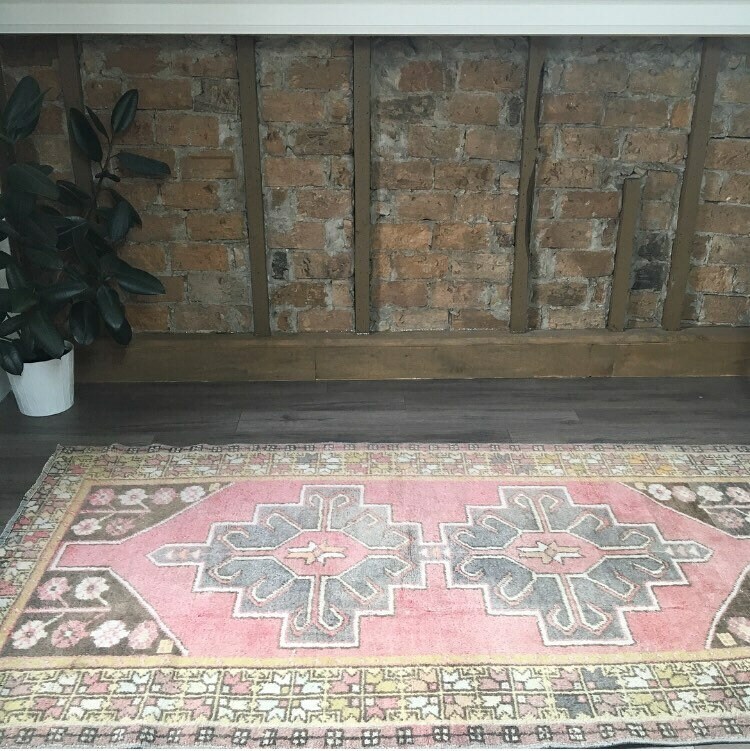 The perfect combination of blush pink and grey with pastel details - this vintage Turkish rug is a gem! 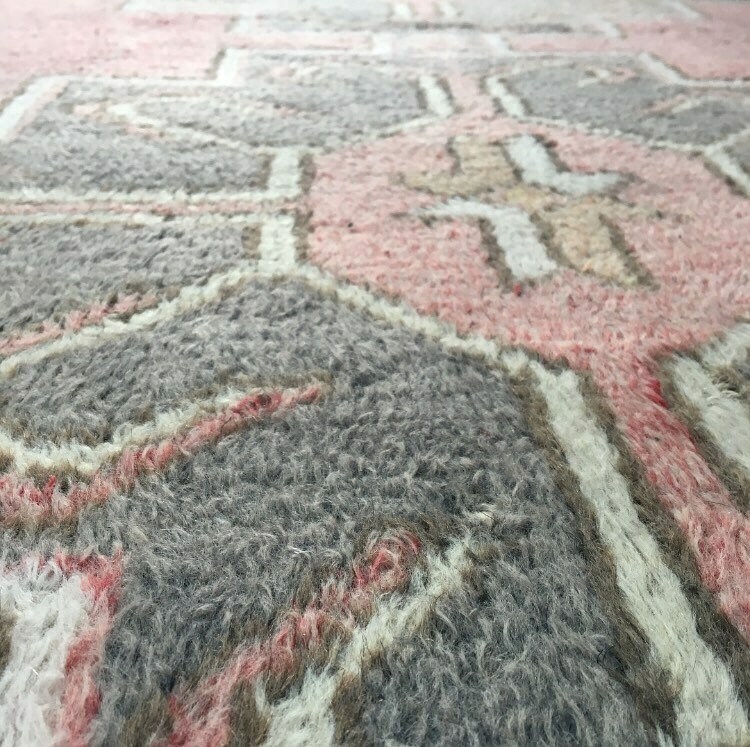 A rarely seen medium pile makes this rug softer than its contemporary counterparts, and the colour palette is a great match. 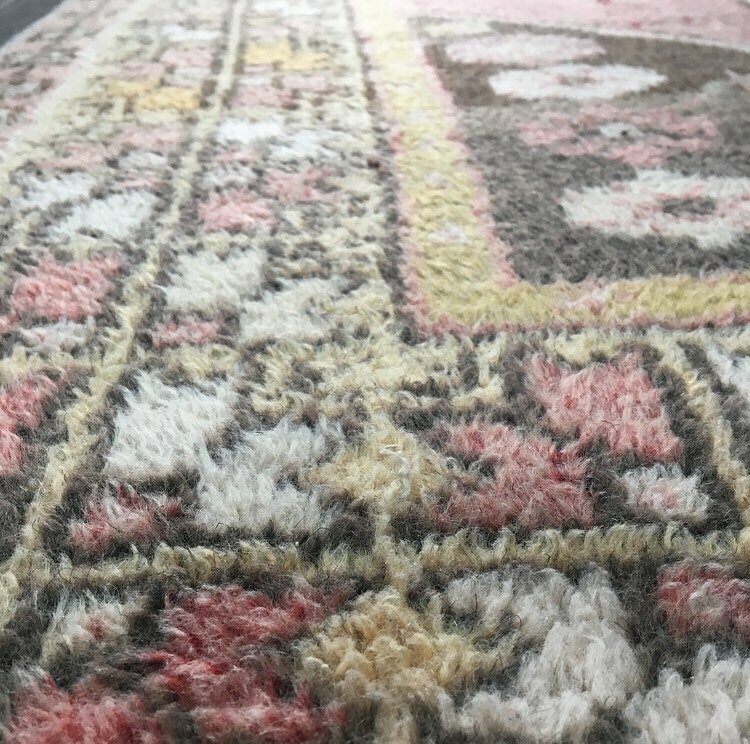 Perfect for a nursery or kids room, your office or dressing room, or anywhere you want a soft pop of colour and texture. 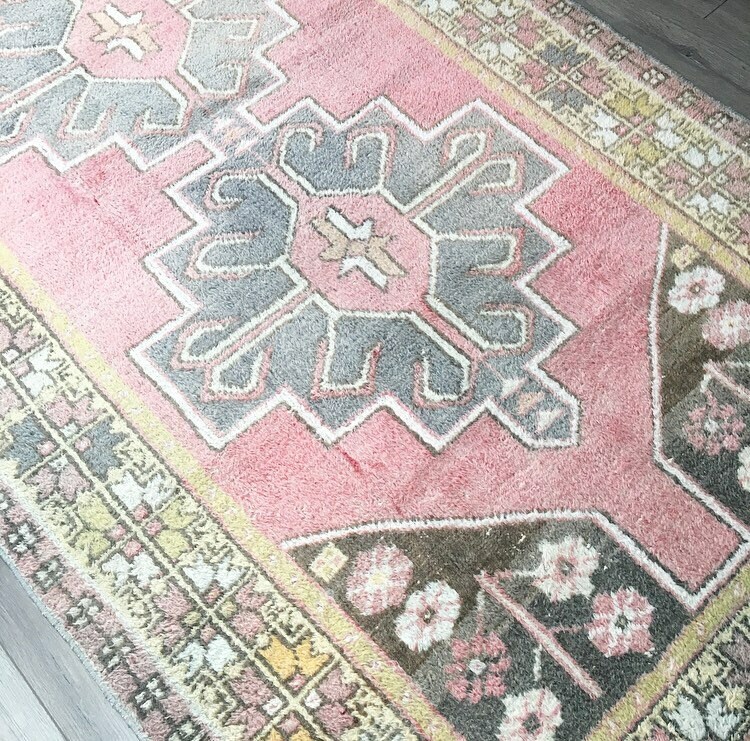 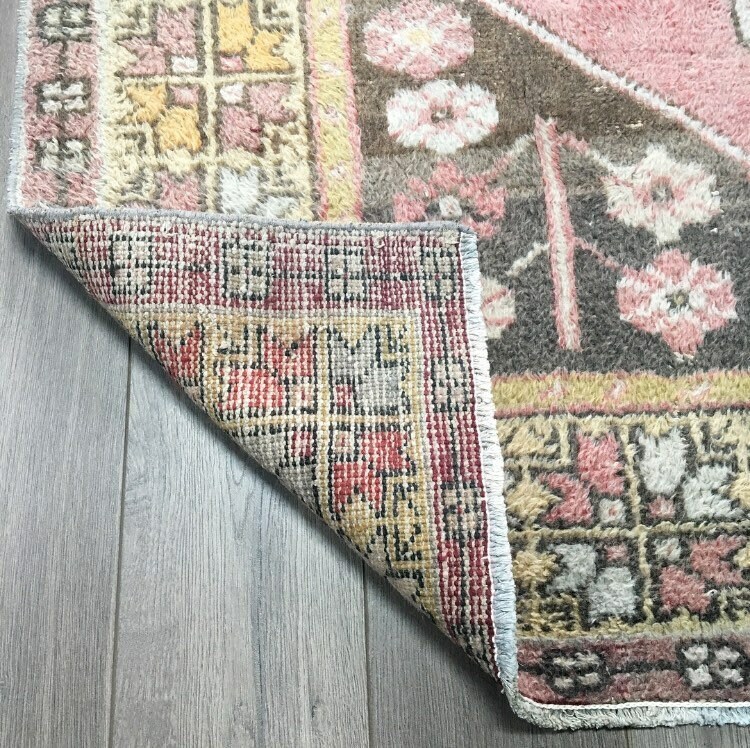 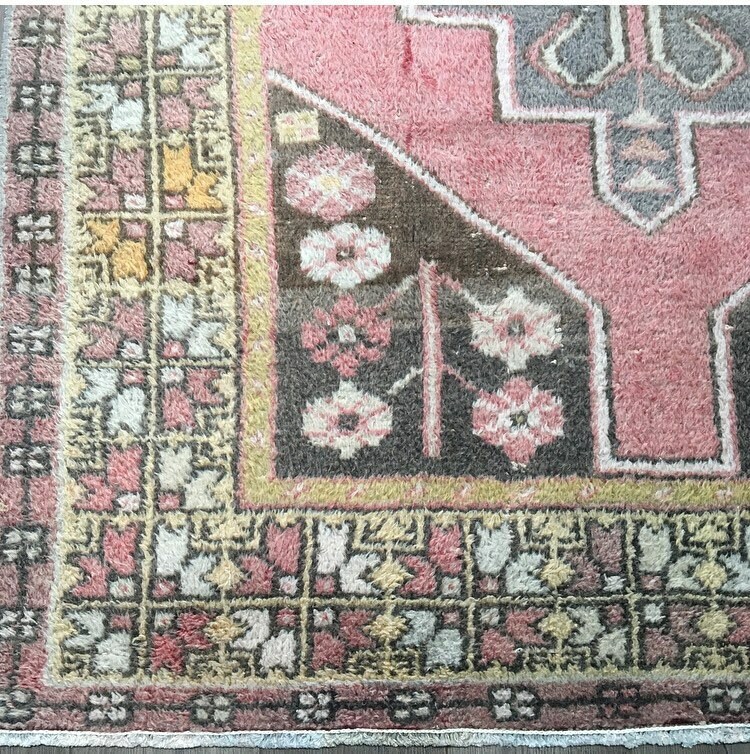 This rug was handmade in Turkey in the 1940s, and is durable and meant for everyday use!